This past spring, I came upon an animal Reiki course with Angie Webster and it was, for me, an incredible gift. As a Reiki practitioner, I really loved the way I was able to integrate the practice of Reiki with the sharing of Angie’s wisdom, but most of all I loved the way it brought me back to reflect upon a gentle giant that came into my life eighteen years ago. Eighteen years ago, I was 24 years old; I had just graduated from university and gotten my first job, which brought me out of the city to the countryside to begin a career. I found myself in an unfamiliar community and, looking back, I can say that I had no idea what was in store for me! I had no idea that a journey of self-discovery was also awaiting me. I don’t think I really knew then that I was on a healing journey home to my heart of hearts. I do know that the moment I met Tovin was the moment that left an imprint so vivid I hope to never forget because that was the moment I woke up to the remembrance of the “feeling” of my inner being. Tovin fell into my world like a gentle feather floating on the breeze. When I met him, his large brown eyes were filled with something my heart felt and knew on a level I could not explain. At the time, I had no idea that what I was feeling and attributing solely to him, was also within me… It was a beautiful opening; I had no idea I was coming home to my heart…this seat of my soul, this place of presence where I dwelled with such ease as a child. I had lived in an urban area for many years while attending university and, being in the country now, I was excited about the opportunity of having a dog in my life. I began to ask around and let people know that I was looking for a dog to care for. It was not long before I received word that there was a dog in the community that needed a home, however, I was also informed that I should not get my hopes up. He was, and had been, quite wild and mistreated for many years. I learned that Tovin was flown out of the community by an educator who did not have the heart to leave him behind. The educator and his family had taken a shine to him even though he was not very social. It was difficult for them to witness his suffering; they left food and water for him as often as they could. Tovin had, as far as anyone could tell, lived on his own for about 6 years and endured his fair share of suffering. I remember being astounded at his capacity for survival, 6 years is a long time to be without a feeling of “home.” After flying Tovin out of the community, the family did their best to re-socialize Tovin. However, it was not working out and came to what I imagine was a very difficult decision–they were going to have to let him go. I went to meet Tovin, and as I approached him I saw and felt his beauty, his life, his heart, his love. He glowed….the light that surrounded him was incredible, beautiful, and so familiar….I asked him in my heart if he would like to come home with me, he rolled over and showed me his belly. I said, “Thank you. I love you,” and we began our friendship that lasted 9 beautiful years. It has been an incredible gift to reflect on the relationship we had, and I am filled with so much gratitude for our meeting, as I know it was the beginning of realigning with the beauty of presence that also dwells within me. Indeed, Tovin and I had come together, and I greeted him from a place within that, for whatever reason, I had not been since I was a child. The astounded thought and feeling I had had at his capacity that he had not felt at home for six years, began to melt and expand as I realized I had not dwelt within my “home” for even longer. It is not easy to explain that becoming a Reiki Master and completing the animal reiki course has given me such a precious gift. I know now that when I met Tovin, I came home, diving deep within. There began an 18-year journey to uncover, learn, evolve, and grow many of the paths that this art of presence can bestow for myself and the world…the gift of Reiki and the reflective journey within the Animal Reiki Course being a beautiful one. Jennifer currently works as a spiritual health specialist in the Canadian Health Care System, she is an avid student of life and spends as much time as possible cultivating artful presence in daily living. One of her greatest joys has been studying and practicing as a Reiki Master and loves to share its infinite gifts for the highest good of all willing hearts; human, animal, and nature alike. 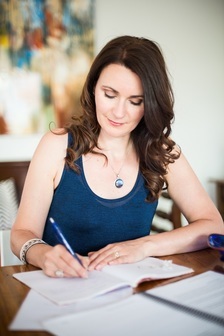 More recently Jennifer’s own healing path unfolded a love and passion of writing, and in particular; writing poetry; she loves to align with her inner being enter the flow of loving life consciousness through her heart of hearts and breathe the vibration of the poetic works free. Jennifer awoke to her healing journey eighteen years ago and has learned to incorporate different spiritual practices throughout the day to maintain balance while in service to others. Jennifer has found her true purpose in consciously choosing to be a light of loving awareness unto herself for the expansion and highest expression of love for all as this is the greatest gift she can give to herself and in turn offer the world. How Do You Use Your Tools? I received an interesting question this morning about pendulums. This person was concerned that her use of pendulums was leading her to negative things. That the pendulum was, or could, tell her to do things that were harmful. This is an incorrect view of what a pendulum does, and since I occasionally see this distortion, I would like to clarify. Pendulums are simple energy reading tools. Pendulums are not channeling devices. They do not connect you will beings or entities. It is also not correct to say we are “asking the pendulum” because the pendulum itself is not actually telling us anything of its own. Instead, the pendulum is a tool for detecting information that is present. It reads electromagnetic information. That simple. So, much like a medical device that can detect electromagnetic energy, or devices that help us to locate water beneath the surface of the earth with ultrasonic waves, pendulums do this in a very simplified way. Now, pendulums can only give us information in response to a yes/no question. They have no language to tell us anything specific, but they can swing in one direction or the opposite. When you ask a simple yes/no question, the pendulum detects your energy, including energy you may not be aware of (such as the subconscious mind), as well as the energy immediately involved with what you are asking about. 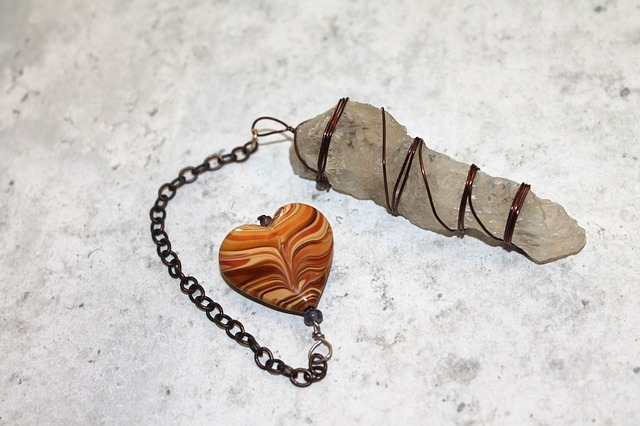 So, if you ask “is this vitamin supportive to my body right now?” the pendulum will detect your energy, the energy of the vitamin, and how the two energies resonate or work with each other at that moment. The ‘yes’ or ‘no’ you receive will be based solely on that. We have to remember the limitations of our tools. We wouldn’t expect our microwaves to drive us to the store, right? We wouldn’t expect an ultrasound machine to tell us what decisions we should make about our lives, only to give us information. And we shouldn’t expect our pendulums to tell us everything about ourselves and our lives, nor should we rely on them to make decisions for us. Pendulums can’t see the future. And we really need to remember that the future is not fixed. It is always fluctuating, with every new decision, thought, and emotional state that each being experiences. Each of us plays a part in the unfolding of the future, minute by minute. For that reason, it is pointless to use a pendulum to ask what will happen in the future. Instead, make decisions that you know to feel right for you, then move ahead from there. Your pendulum has no power over you. No tool does unless you give that power over. Please don’t rely on tools of any sort, while ignoring your own ability to see what’s in your own heart. Listen to your body, your inner voice. No tool or device can decide how you live or what choices you make. Just like you wouldn’t turn to your microwave to help you make life decisions. Be cautious of reliance on tools, cards, devices, crystals, or anything else to guide you or tell you what is right for you. My hope for you is that you will come to use your pendulum less and less as you come to trust your gut more and more. My goal has never been to teach my readers and students to use any tool so that you replace your own natural instincts with the tool. That is a miserable state of affairs. In the modern world, humans already rely more and more on tools and less and less on our own bodies and gut instincts. To truly know ourselves, to tune in and remember who we are and how we can be, we must renew our connection with our inner voice. Tools can help us remember that voice is there, and they can help us trust what it is saying. They can even help us to demonstrate what is nebulous in a concrete way. But we should not replace our instincts with a reliance on tools, or we will be at peril of losing our connection with instinct altogether while it atrophies even further. Did you receive this email on social media and want to subscribe? Sign up here. The Elements are Vital Energetic Forces. Earth. Air. Fire. Water. Spirit. The elements can seem like separate things, but they are always with us, everywhere. They are part of our bodies, our minds, our hearts and our spirits. They are what make up this Earth and the entire Cosmos. The elements are far more than what we might envision when we think of the physical entities that embody earth, air, fire, and water. They are the underlying energy that creates the movement, shape, and form of everything. You could think of them as the energy and aliveness of the Universe or the Divine. You could possibly see them as the soul and expression of the Divine Energy. I find them fascinating. Fire is the element that generates the most fear and fascination. Many people shy away from the element of fire to some degree. It can seem as though fire can do nothing but cause harm or death. We learn to fear heat and fire as very young children. Each of the elements has the capacity to destroy, as destruction and death are only another way to bring in change and new life. Fire is no exception. It is wise to have respect for each of the elements. To work with them well is to use reverence and restraint. And yet, there is no reason to fear the elements. Without any of them, there would be no life. Fire brings the creative and productive life force energy that generates life force itself. The act of creation begins with a burst of Fire energy and that energy propels forward until it is calmed or slowed by other elements blending and working with it to help that life take form. What an amazing thing this is! And yet no life–not even human life–can begin without some type of destruction or burning away. Something must change in order for the new to be brought through in each case. Seed to flower, egg to bird, acorn to tree, sperm and ova to human life. Fire is present in warmth and heat, the sun, the stars, electricity, and flame. We also feel Fire in the sting of bees, wasps, and other insects, as well as some plants, such as stinging nettle. Fire is action, movement, motivation, determination, persistence. It is summer, excitement, and growth. It is the ability to discern and choose wisely. It is the spark behind our intentions that activates their manifestation. Fire is the energy of life, change, creation, and destruction. Fire is our life force and our will. It is what we can think of as our personal energy, that spark of the Divine that manifests as a unique being given its own life force energy to create with in the world. Fire can certainly cause damage and it can be misused when it is not used wisely by humans. Interestingly, when I was searching for images for this article, most every image of fire that I came across reflected a human-controlled fire or fire that was destructive and out of control. It showed the fear that we have of the Fire element and the power that we try to exert over it. Yet, when I think of the element of Fire, I think of something much larger than us. I think of the Sun, or a sunset, heat that warms every living being on the planet with life. Working with Fire well means to use wisdom and constraint, not to force our will and control over another. We often subconsciously mistake Fire energy for greed, abuse of power and taking what is not ours. That is an imbalance between Fire and the other elements. It is a misuse of our personal Fire energy and other energies as well. We all get out of balance at times. To work with the elements well means to bring balance to the elements within our mind, body, heart, and our energy or spirit. It is consciously connecting with the elements in the Divine Field of Energy and in the Natural world around us. It is seeing the elements at work in others, without trying to change how they work within them. It is prayerful and sacred and it always comes back to remembering that your own soul is part of the elements and the Divine. Your own body expresses the elements in form. The great balancer of Fire is Water. When we get overly caught in our will or determination, overly involved in our own busyness or creative expression of energy, it is often our love and emotions (Water) that can remind us that there are things need our softness and compassion. That whispering, slowness, and gentleness are best sometimes. Yet, even compassion requires Fire to be effective at times. And even Water can be destructive–as will see later in the series. No one element is more important than another. They all work together and temper each other. Earth can also bring a stabilizing force to the energy of Fire. Of course, with physical fire, earth will extinguish or contain the flames. The element of Earth provides a calming, cooling, grounding force that quiets the energy of Fire. Much like physical soil, it roots it and contains it. This element brings the balance of wisdom, strength, and proper discernment to Fire’s action and creation. To work with Fire in your own life, begin with an aspect of Fire energy that feels comfortable and familiar to you. You might wish to choose 2 or 3 aspects, if that feels good to you, so that you can approach it from different parts of life. For example, the warmth of your shower in the morning, the heat of the sun and your own body heat. Explore what these aspects of Fire mean to you. Express your gratitude for them in your life. As you contemplate these aspects of Fire, think about other ways that you can see the energy of Fire moving in your life and in your actions. How do you work with your personal energy? How do you see the energy of Fire in your choices and in your creativity? Do you see it expressed in your anger? How about in your wise compassion or discernment? Where would you like to bring more balance to the ways you work with Fire? Invite it to guide you to work with it wisely and well. Feel the Fire in your belly and nourish it. Know that it is your life force, given from the Divine. Join me for the next four weeks for the rest of this free mini-class on working with the elements! If you are not subscribed and want to follow the series, please follow this link to sign up. If you have a friend who would enjoy this series, please share this with them so they can sign up too! Everyone is welcome! Found this newsletter on social media and want to subscribe? Go here. Recently I have been very moved and guided to work with hawthorn more. Hawthorn is best known for its benefits in supporting and balancing the heart. It is full of vitamin C, B vitamins and is rich in antioxidants and bioflavonoids. It’s a deeply nourishing food that also acts as a tonic and brings greater balance to our systems in an extremely gentle manner. It helps to balance blood pressure and bring support and balance to veins, arteries, and capillaries. Because it helps to support and stabilize the collagen in our bodies also helps to repair and build health in the joints, ligaments, muscles, and tendons. It is also helpful for many digestive problems. 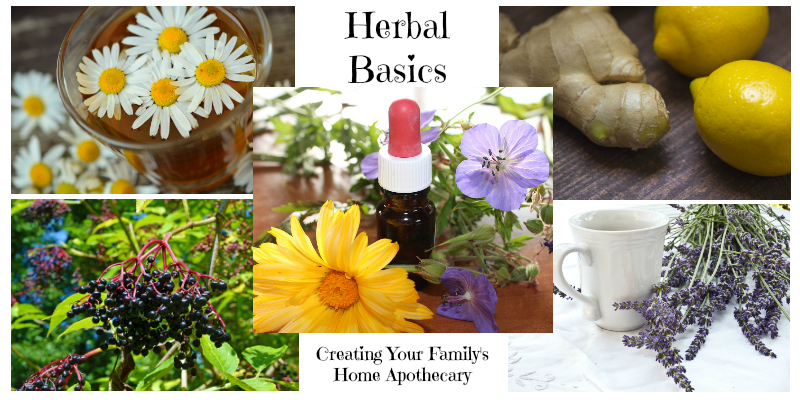 In herbal healing, the energetic factor is often overlooked–the ways in which herbs help us emotionally and spiritually. Plants connect with us not just physically, but energetically. Hawthorn is a very special plant for supporting the healing of the heart on a spiritual and emotional level, as well as physical. It helps to heal and release grief, opens the heart to true expression and connection, and eases anxiety and deep sadness, especially as related to loss or feelings of being “shut down.” Hawthorn brings balance to the energetic heart, allowing for healthy boundaries, which make the heart capable of peaceful, compassionate, and gentle connection. That is a deeply nurturing and wise healing lesson for our physical cells and our souls. Mix the powders together. Add a small bit of honey (maybe a teaspoon), enough to help the powders bind together and form a dough ball. Mix well until a nice dough ball is formed, then pinch off small pieces and roll into balls. Roll the balls in a little hawthorn powder to coat them and store in an airtight container. Enjoy! I’m not sure why I was led to work with hawthorn or inspired to create this recipe. But I have been working with the plant energy long enough to know that when I am called to work with one, there is always a reason. The energy reaches out where it is meant to go. May it bless any that can benefit from it. P.S. Just a reminder…there is still a little time left to take advantage of my Solstice specials on my Herbal Basics Class and my Animal Reiki Class. These are both 25% off through the Solstice on June 21, 2017. The links will take you directly to the information and enrollment page with the discounted price.